03: The Tyrant - When a controversial African politician falls ill, he is brought to Princeton Plainsboro for treatment. The team struggles with whether to help a merciless dictator being subpoenaed for crimes against humanity in his country. Meanwhile, Wilson tries to make peace with a feuding neighbor, but House's prying exacerbates the problem. 04: Instant Karma - A wealthy businessman brings his teenage son, who is suffering from inexplicable stomach pains, to Princeton Plainsboro and insists on having Dr. House handle the case. The father of the patient believes the karmic penalty of his financial success is that he is victim to personal tragedy, and that the answer to his son's medical mystery lies in a reverse of fate rather than medical treatment. Meanwhile, Foreman and Chase prepare to present information on the Dibala case. 05: Brave Heart - The team takes on the case of a reckless police detective who has a family history of sudden heart failure that killed his father, grandfather and great-grandfather all at age 40. Though House is not keen on diagnosing the patient without any detectable symptoms, the team, urged by Cameron, attempts to identify his condition so the detective can live without fear of dying young. Meanwhile, Chase is haunted by his actions in the Dibala case, and House confronts some ghosts of his own. 06: Known Unknowns - A teenage girl is brought to the hospital with severely swollen appendages after a wild night out. House M.D. : Season 6: Episode 7 -- House treats an adult film star for eye pain. 08: Ignorance Is Bliss - House and the team take on the case of James Sidas, an exceptionally brilliant physicist and author who traded his successful career for a job as a courier. For the ailing patient, intelligence is a miserable burden that has prompted depression and addiction, and this, coupled with his myriad unusual symptoms, nearly stumps the team. Meanwhile, the doctors at Princeton Plainboro wrestle with strained personal relationships. 09: Wilson - When an old friend and former patient of Wilson's exhibits paralysis in his right arm, Wilson puts himself on the case. House wagers Wilson that the patient's symptoms are attributed to new cancer cells. Wilson accepts even though he is reluctant to believe the cancer has returned. With the help of the team, Wilson works to diagnose the patient more optimistic results, but when things take a turn for the worse, Wilson must address his inability to separate patient from friend. Meanwhile, Cuddy seeks advice in her search for real estate. 10: The Down Low - When drug dealer Mickey mysteriously collapses while negotiating a sale, his partner-in-crime, Eddie, accompanies him to Princeton Plainsboro for treatment. But with a major deal pending, Mickey is not forthcoming with the necessary personal information the team needs to treat him. As Mickey's condition worsens, the team resorts to old-fashioned detective work to solve the case. Meanwhile, House and Wilson compete for the affection of a new neighbor, and Chase, Thirteen and Taub attempt to play a practical joke on Foreman. 11: Remorse - The team takes on the case of Valerie, an attractive female executive experiencing random episodes of excruciating pain. 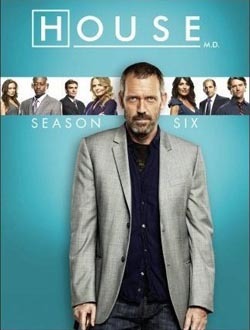 House agrees to take the case based on Valerie's looks, and while treating her, the men on the team are charmed by Valerie's beauty and personality, with Thirteen looking beyond the superficial to try to discover a link to her illness. Meanwhile, House uncharacteristically attempts to alleviate his conscience by reaching out to a former medical school colleague he wronged.